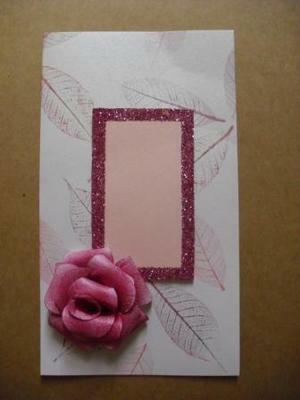 A pretty card and it is lovely to see how others interpret the ideas and suggestions on this website. 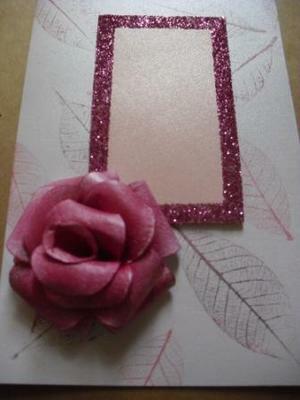 The Rose looks lovely and I like the way you have created the frame with the Glitter technique. All these ideas and more are on the website and you will find every page that has been added in the Sitemap to your left. Really nice card. I especially like that way your rose turned out. Mine are not nearly as nice.